← Where Do I Find Clients? Every business experiences it from time to time and it is hard to hear that someone is unhappy with your product, service, or policies. After all, you work hard to provide quality and affordability to your customer. Try to take this negative and make something positive out of it. Dealing with a customer complaint can be an opportunity for you to improve your business, review an old customer policy, better train your staff and in the end, maybe even create a loyal customer. 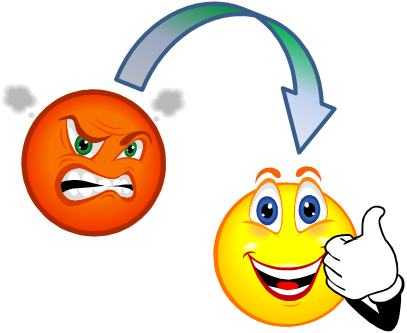 When you discover that a customer in unhappy you cannot ignore it, you must act immediately. A problem will simply become worse with time. Find out what the problem is as quickly as possible. Your willingness and effort to make it right will demonstrate to your customer that they are important to you and that you are a conscientious business person. The longer you wait, the more upset the customer gets, the more difficult the conversation will be and the chances of satisfying that customer become more difficult. Ensure that you are well informed of the problem and offer your customer a replacement product at no charge. If it is a service they are unhappy with, really look at why they are unhappy and offer them a repeat or even upgraded service, but be sure that it is up to par with their expectations. Was it a communication breakdown that caused the problem? Apologize and take this as an opportunity to provide some training to the employee involved so that they are able to improve the communication and potentially avoid a strained customer relationship in the future. With the popularity of social media many customer complaints are in this public forum. Again acting quickly will help to diffuse the situation but never delete a complaint from your social profile. That will make your customer feel that you do not care and could possibly create even more public bashing. As quickly as you learn of the situation apologize and express your desire to correct the situation. Move the conversation off-line by contacting them by email or telephone and resolving the problem quickly. You will gain respect from others on social media by showing genuine concern and a quick response to resolving the situation. Not every situation will have a happy ending but the key is getting an accurate understanding of what went wrong for the customer, fixing it and putting practices in place to avoid the same situation in the future.